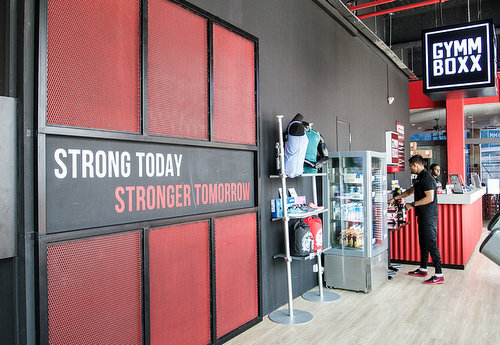 GYMMBOXX fitness centre chain has five locations in Singapore, one of which is within Bedok Point Mall (799 New Upper Changi Rd). The chain offers a friendly, affordable gym environment, but with a premium level of equipment, facility, personal training, and service. All of the GYMMBOXX fitness centres are open 24/7, fitting your busy schedule & making staying fit easier. Of the locations, the flagship gym is a 6,000 sq ft facility at the 4th level of Bishan Community Centre next to Bishan MRT & bus interchange. The official GYMMBOXX Facebook page is located at www.facebook.com/GymmBoxx/. You can also follow the fitness centre’s official Instagram account, which in turn is available at www.instagram.com/gymmboxx/.